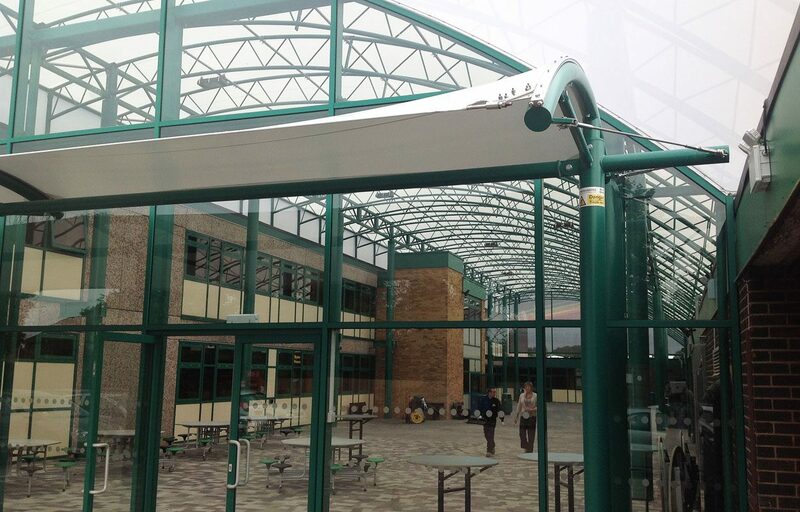 New atrium canopy for Philip Morant School, Colchester. 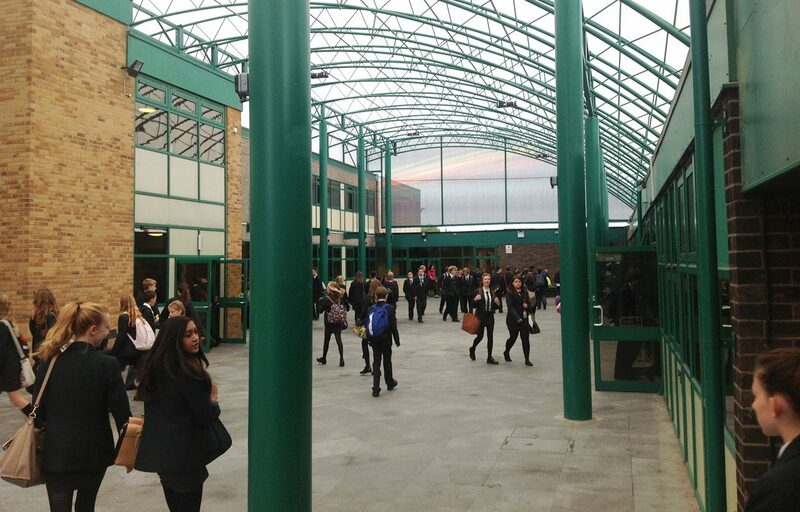 Fordingbridge have completed a 715m2 atrium canopy for Philip Morant School and College. 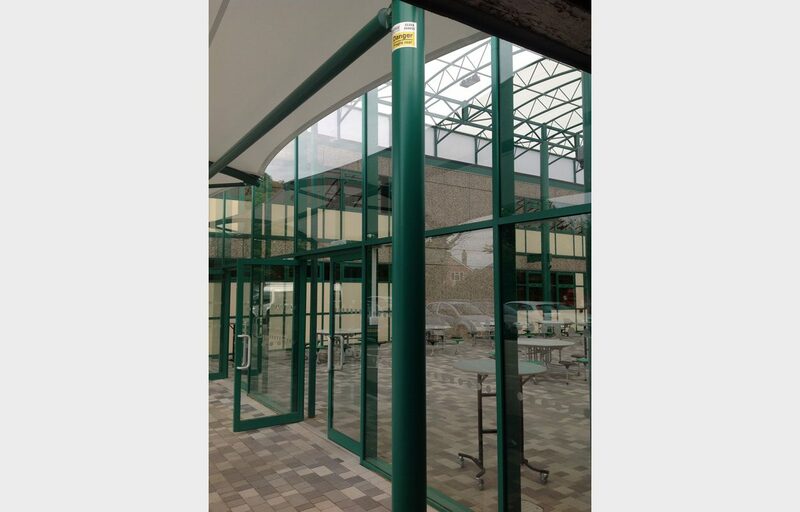 Our steel tapered trellis canopy has effortlessly transformed the under-used courtyard to create a bright weather protected space. 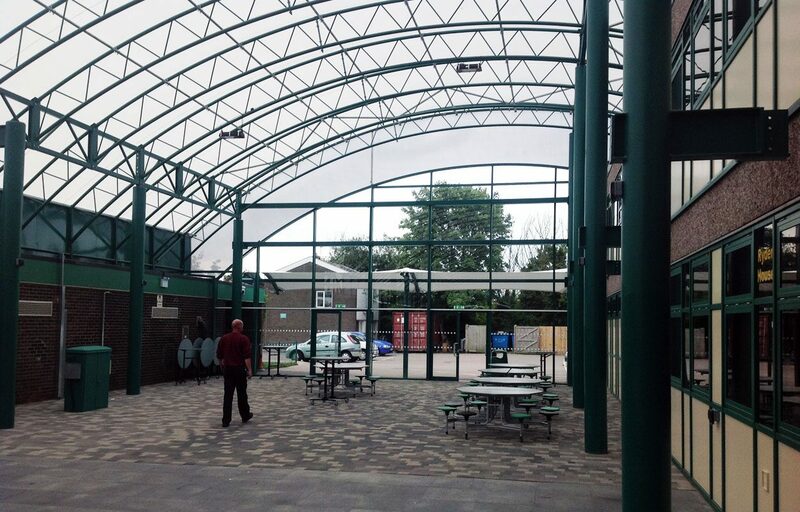 Students are already making the most of their new social, dining and outdoor learning space which previously served only as a route between buildings. 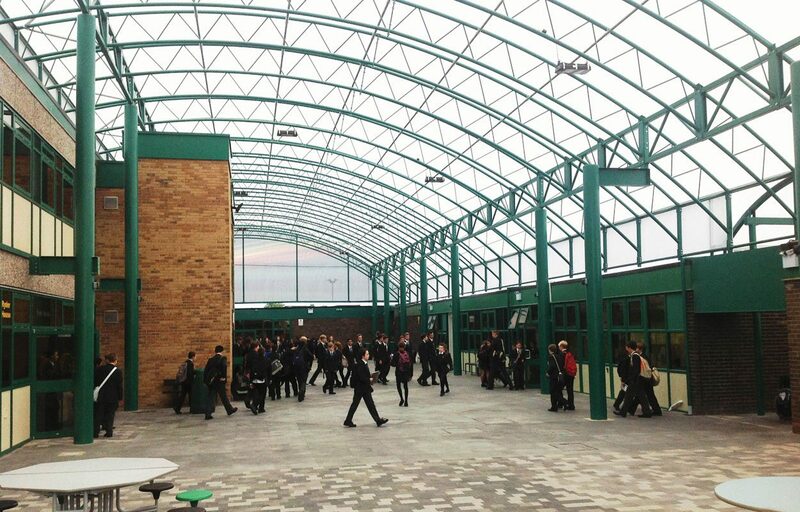 Philip Morant has effectively gained a large new indoor environment for a fraction of the cost of a building. Provision has also been made for a first floor level walkway along the length of the two storey elevation to be installed at a later date. 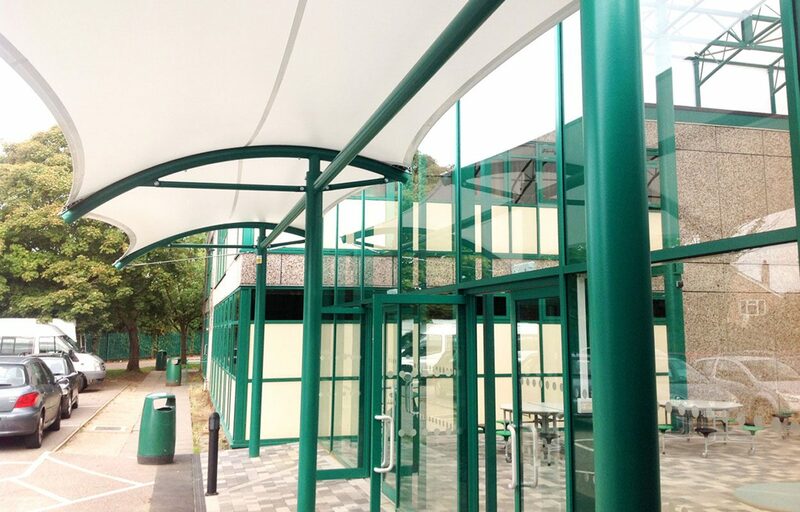 A special feature of this canopy is the screen printed gable end fabric which was designed by the school’s art teacher as an abstract of rainbow colours. The fabric serves as ventilation to the space and maximises the amount of natural daylight which flows into the space. 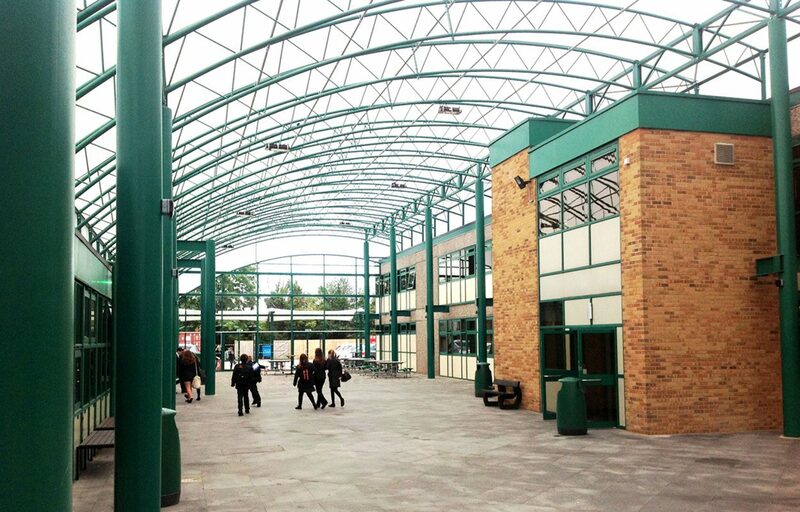 Fordingbridge were able to provide a fully project managed design and build package to help the school achieve their vision. All of our steel work is designed and manufactured by our in-house technical team, meaning precision in design and engineering and speed of manufacture for your convenience. Fordingbridge is a fully CE Mark approved manufacturer of steel fabrications. Simon Bown, Dudley, Smith Partnership. View more education projects to gain inspiration for your projects and contact us for your free, no-obligation site survey.